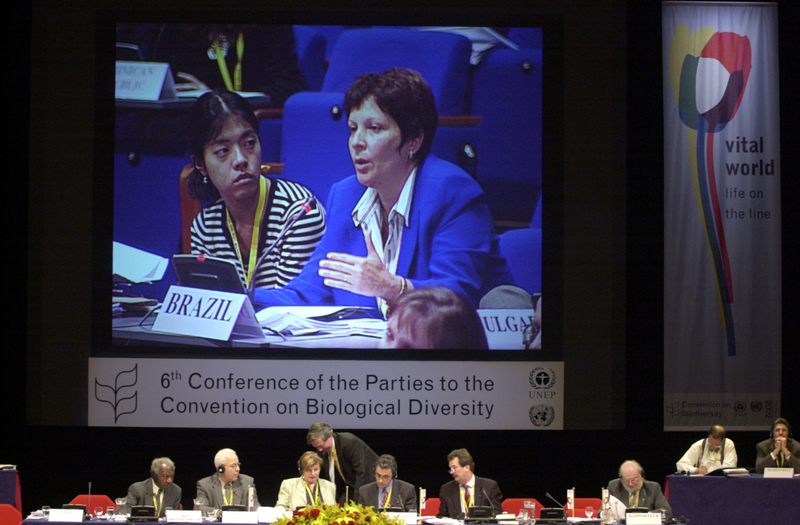 COP-6 came to a close at approximately midnight as a reservation over text in the guiding principles on invasive alien species launched a series of closed-door discussions followed by Plenary debates over the CBD’s decision-making procedures. 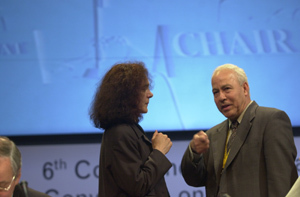 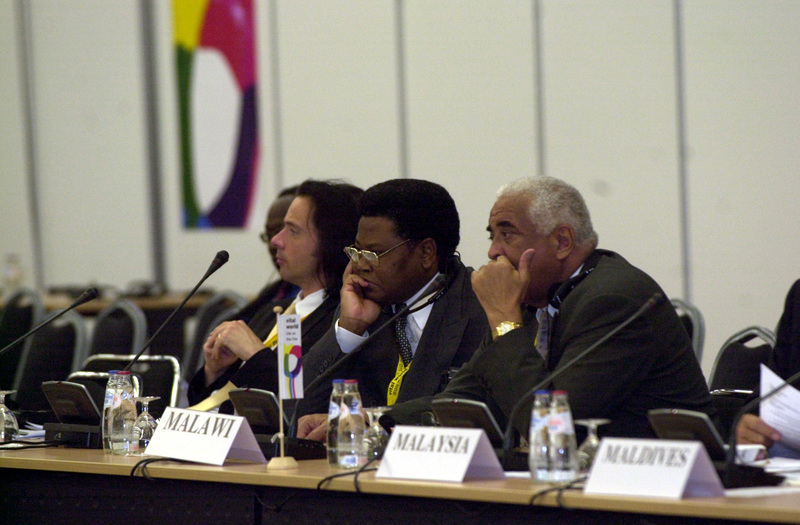 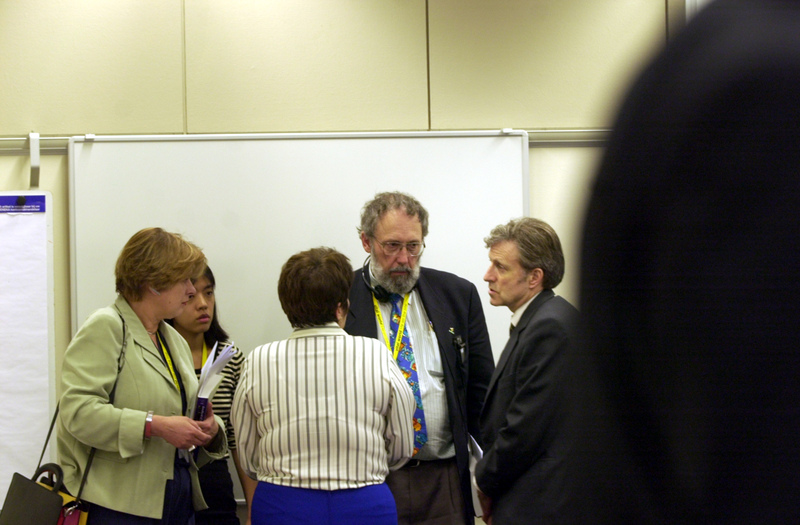 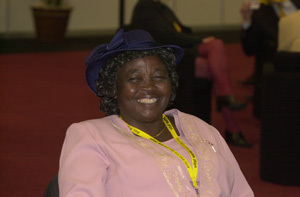 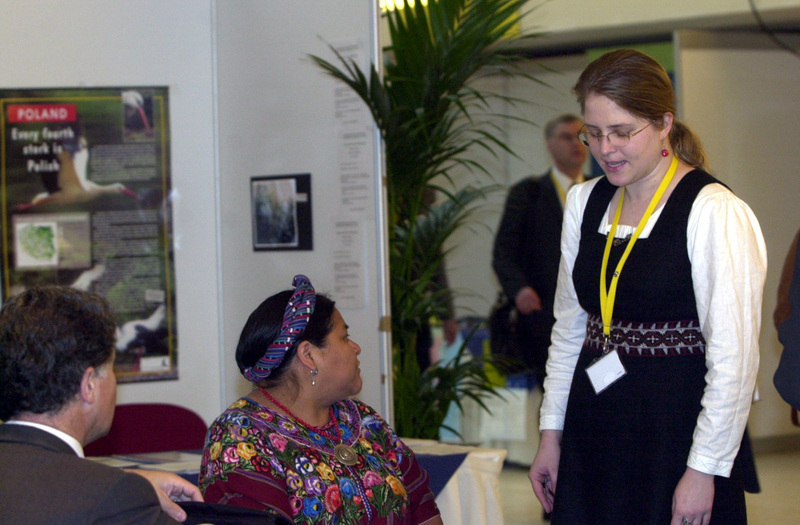 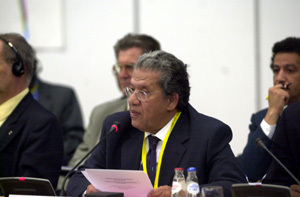 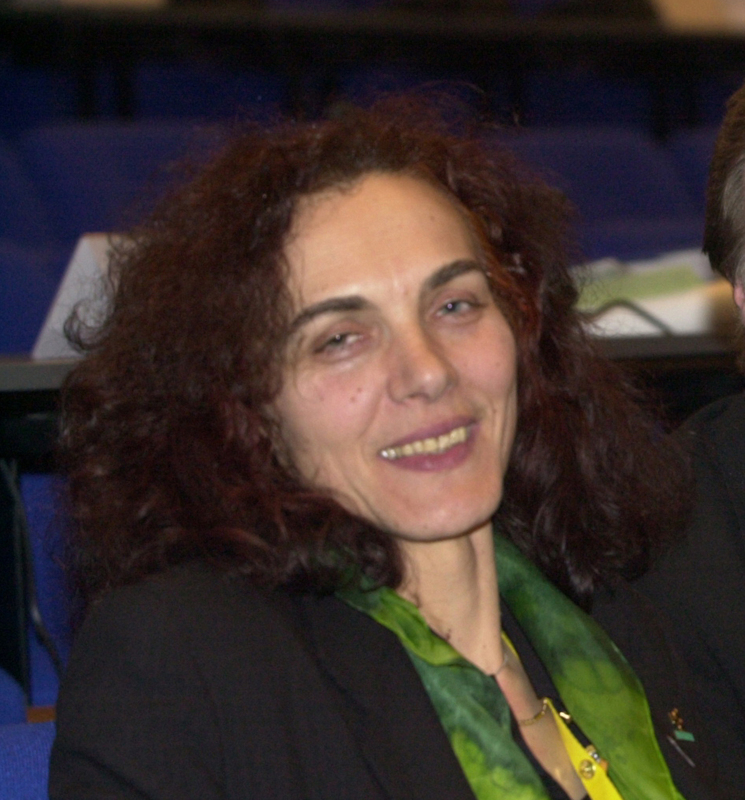 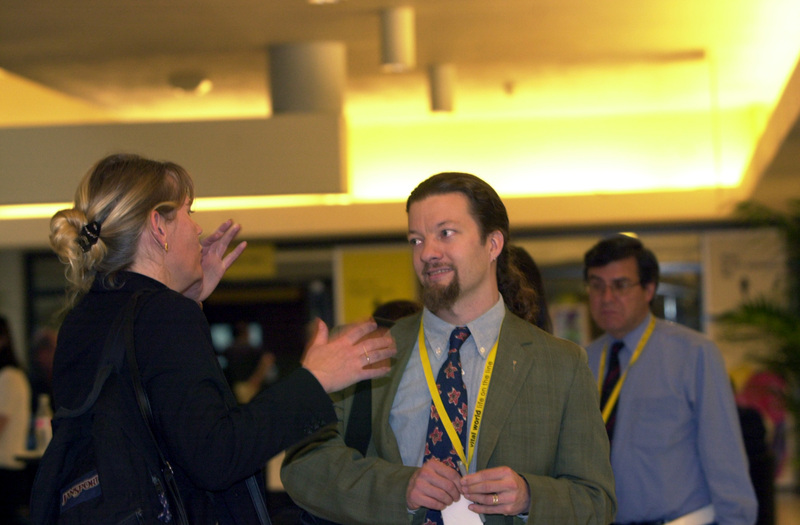 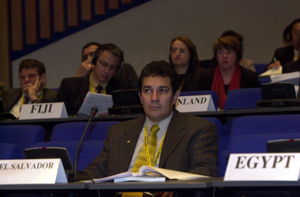 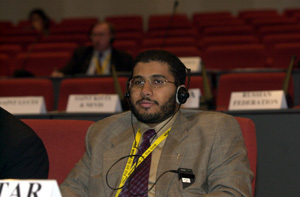 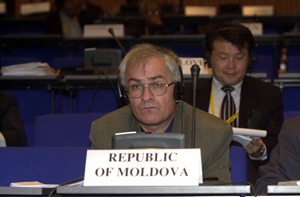 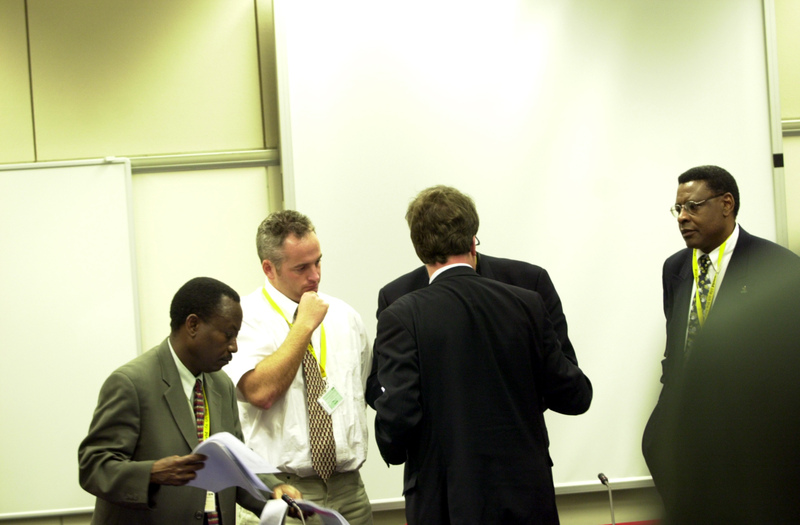 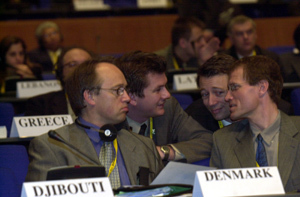 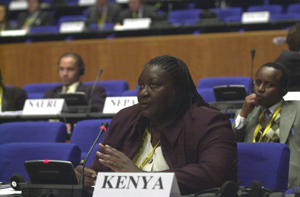 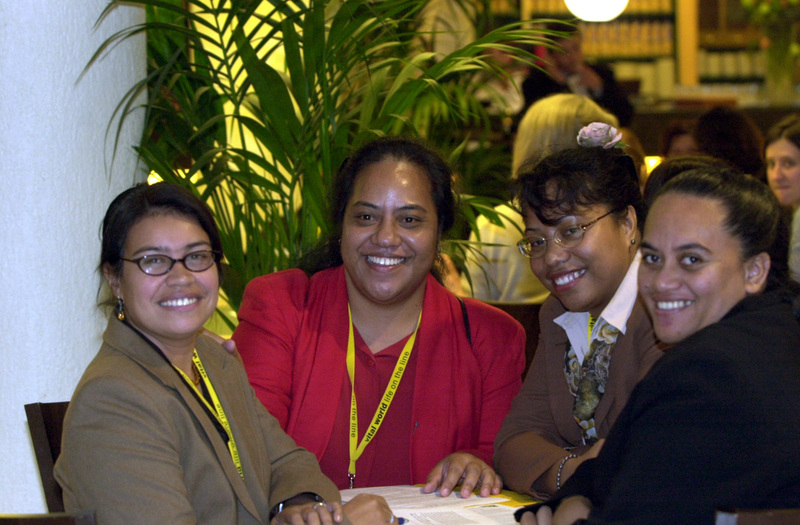 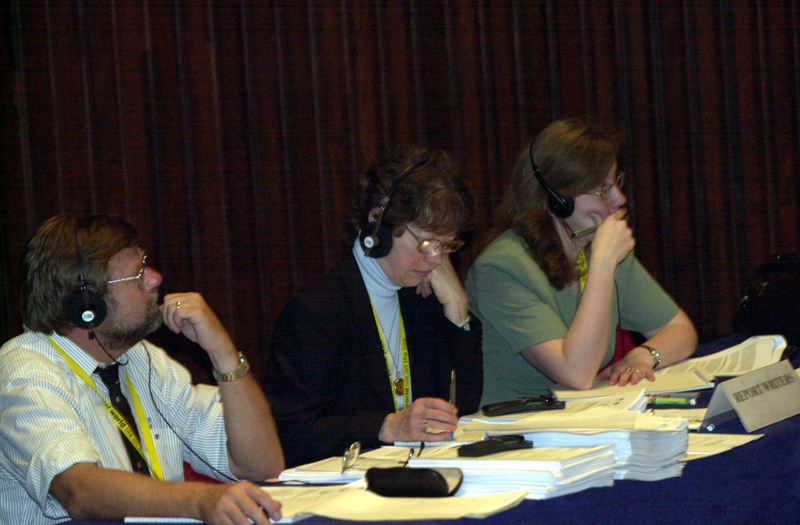 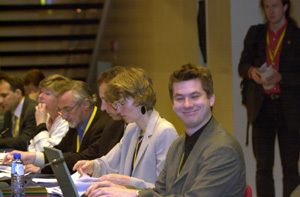 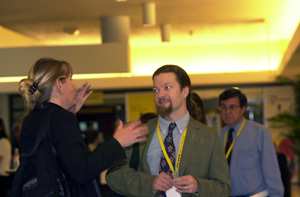 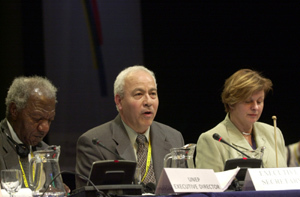 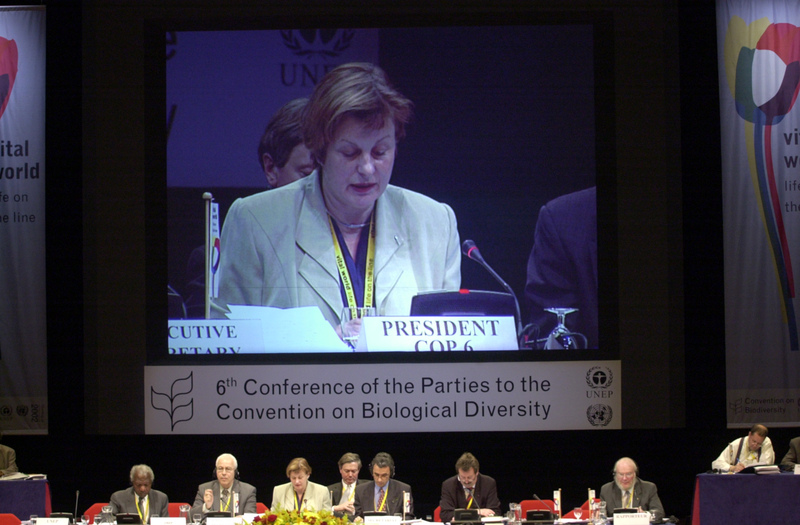 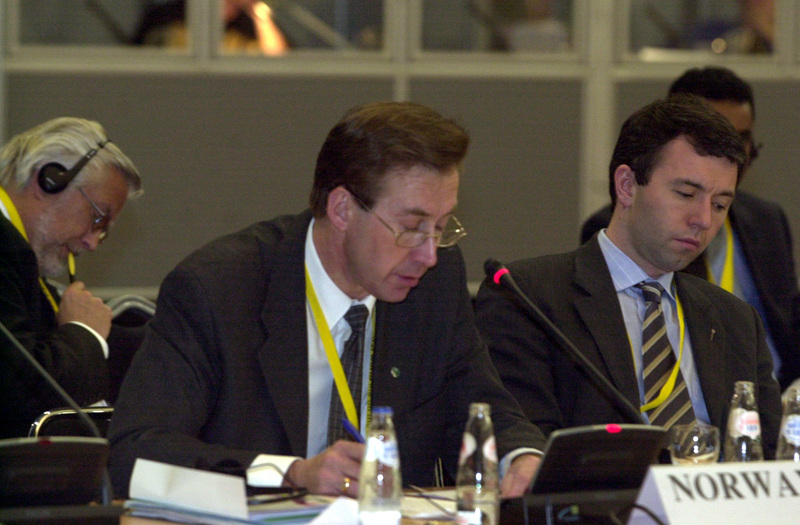 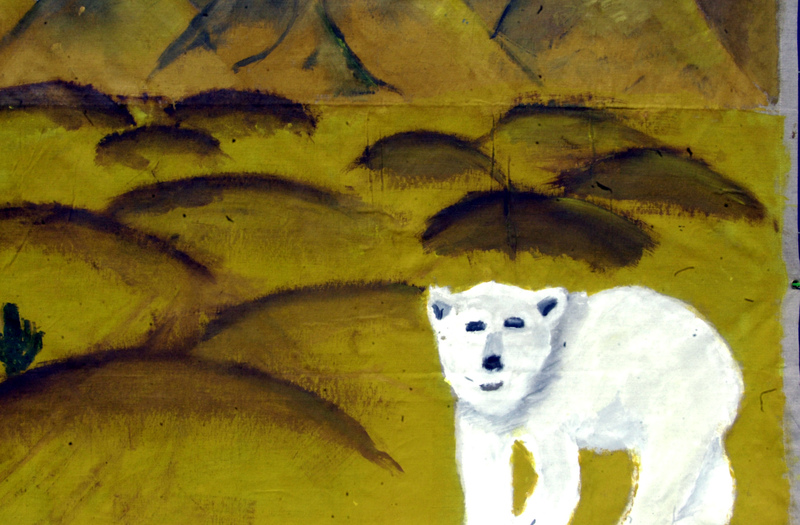 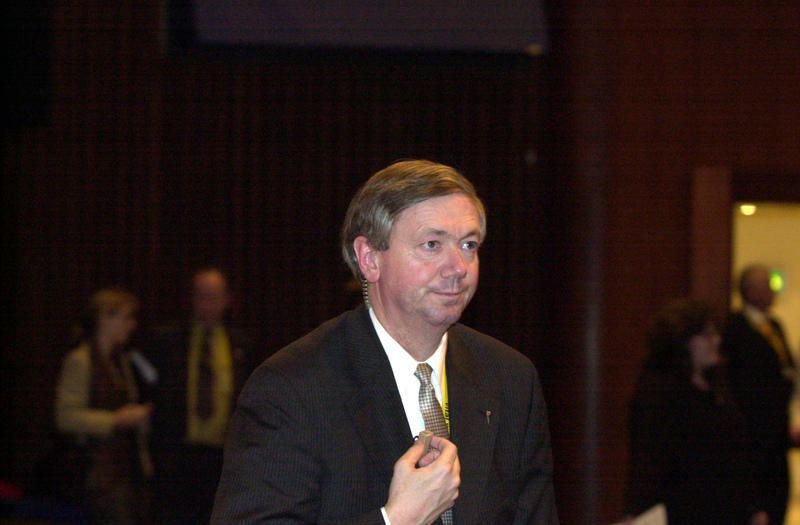 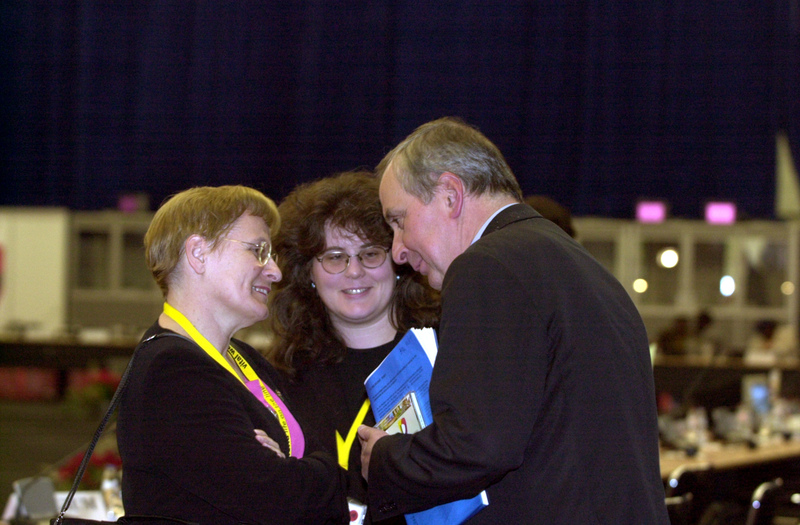 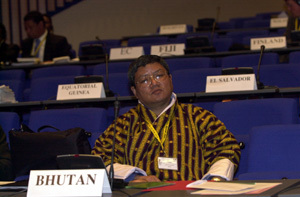 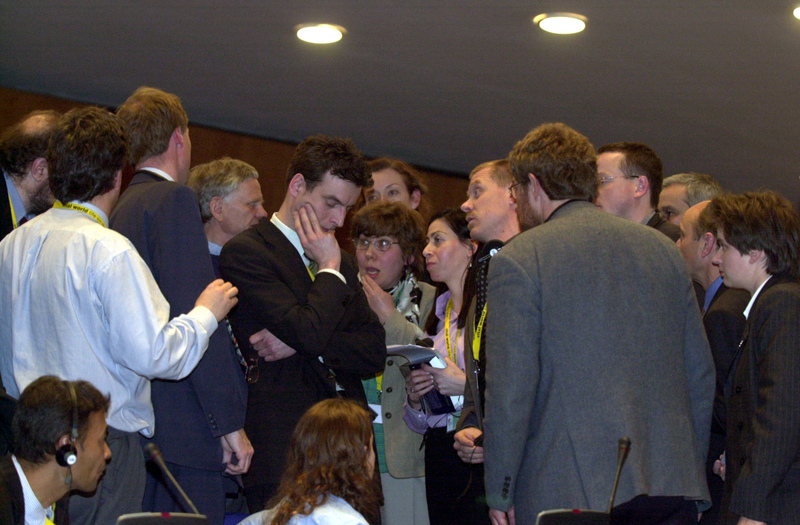 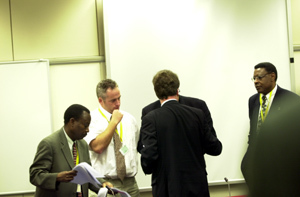 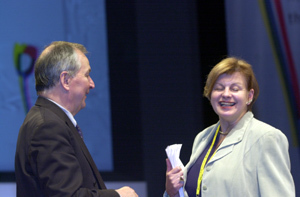 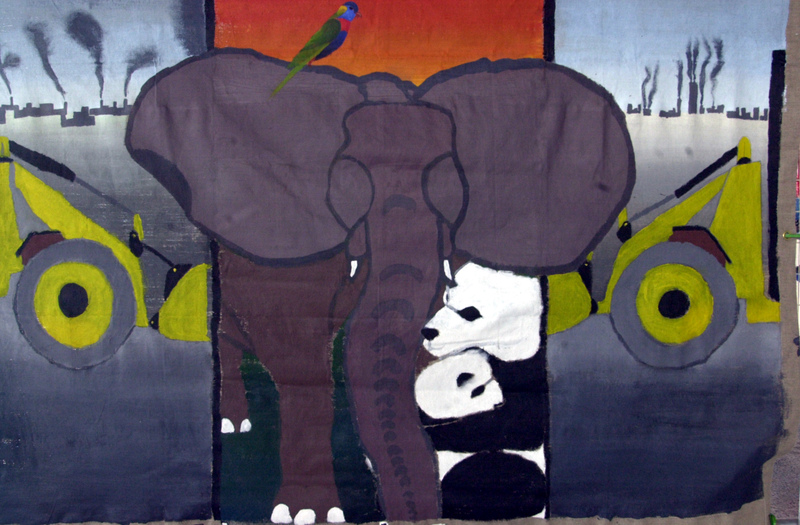 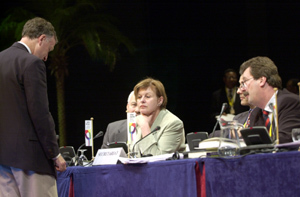 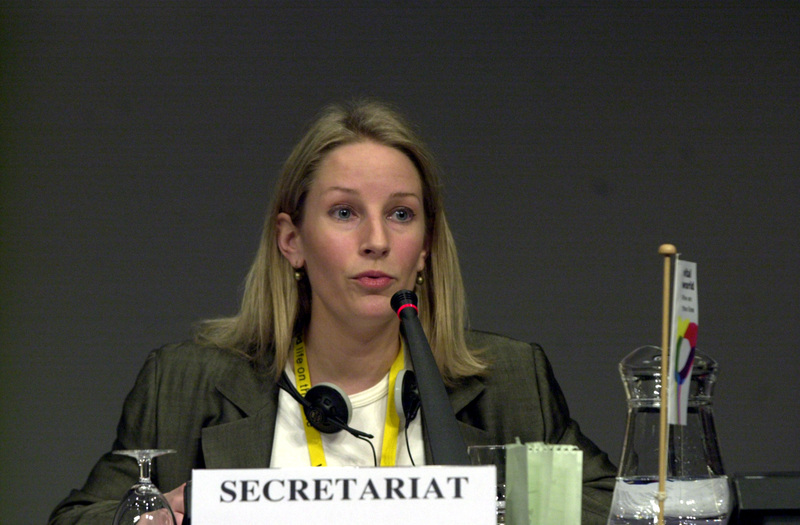 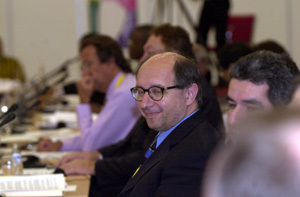 With many felt that COP-6 had cleared its final hurdle with the adoption of compromise text on forests, the Plenary was faced with another surprise as Australia formally objected to text in the guiding principles on invasive alien species, which they considered unclear and possibly resulting in conflicts with obligations under trade-related agreements. 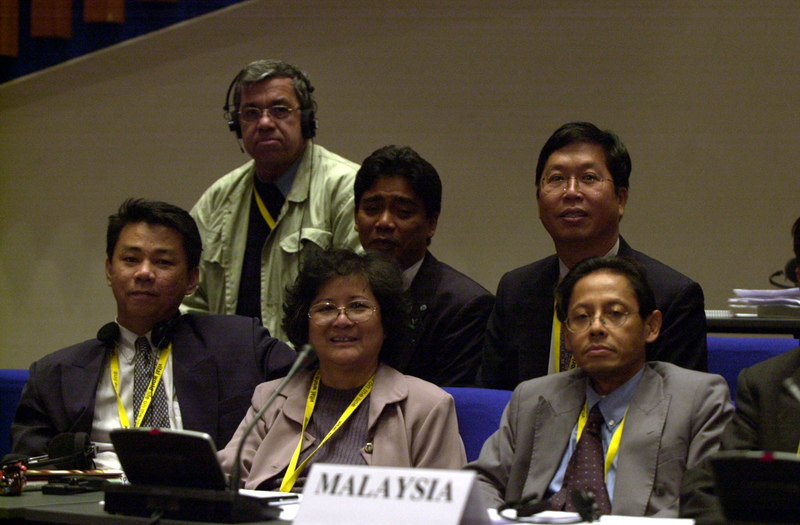 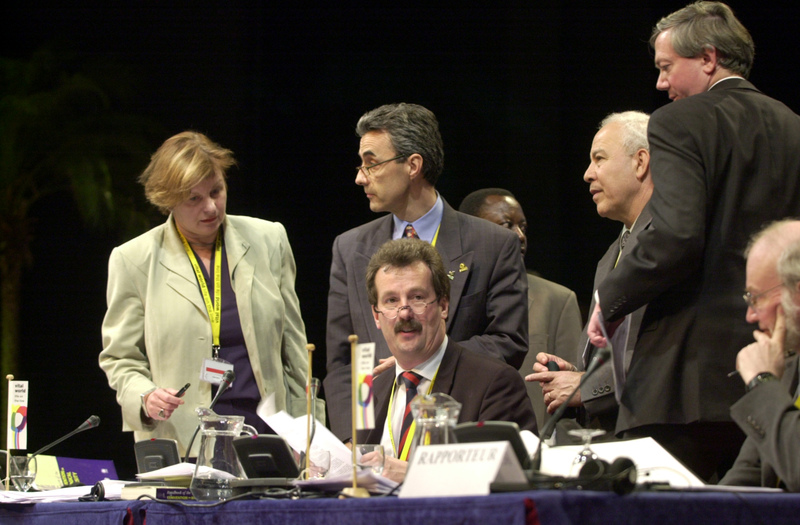 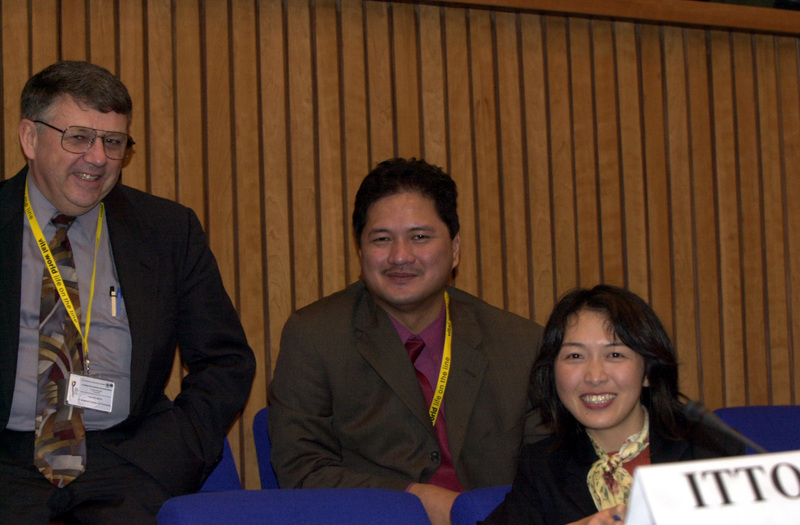 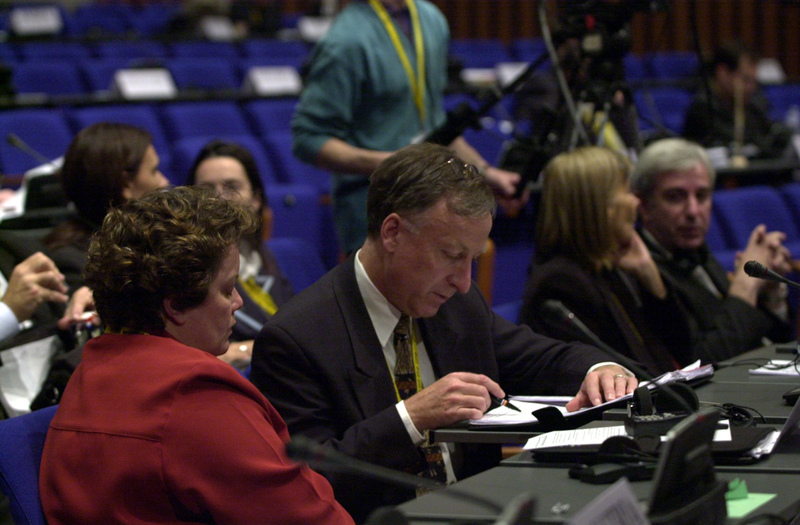 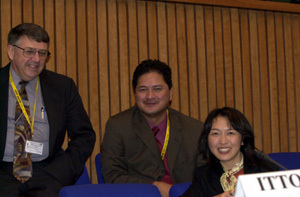 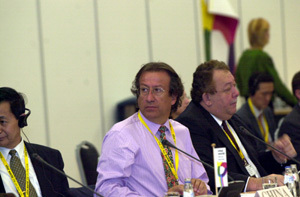 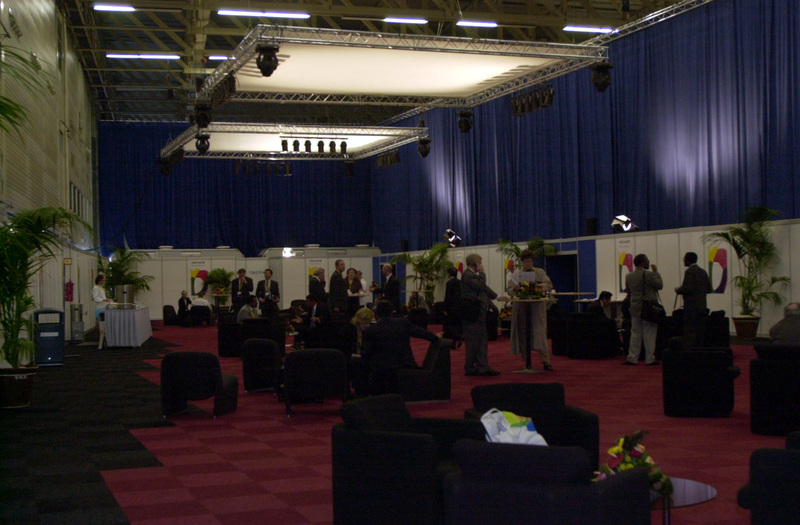 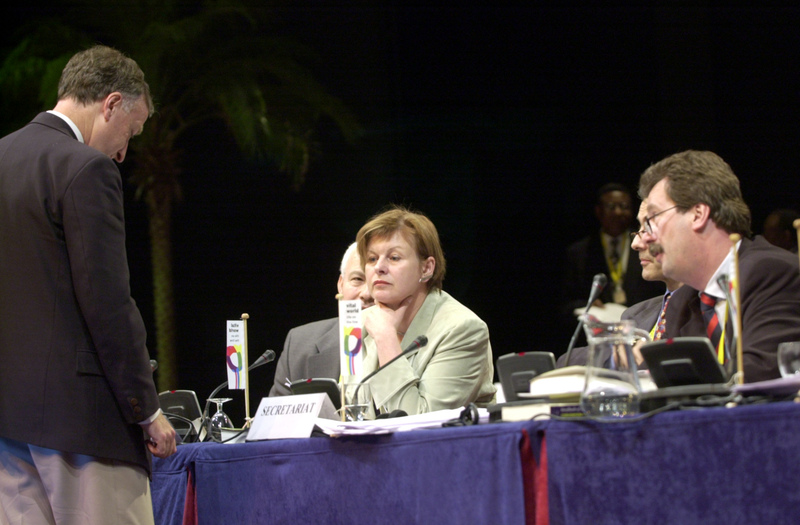 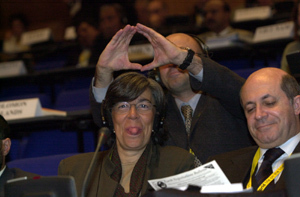 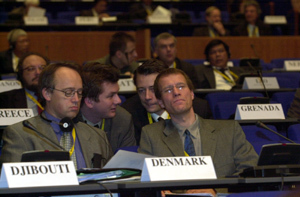 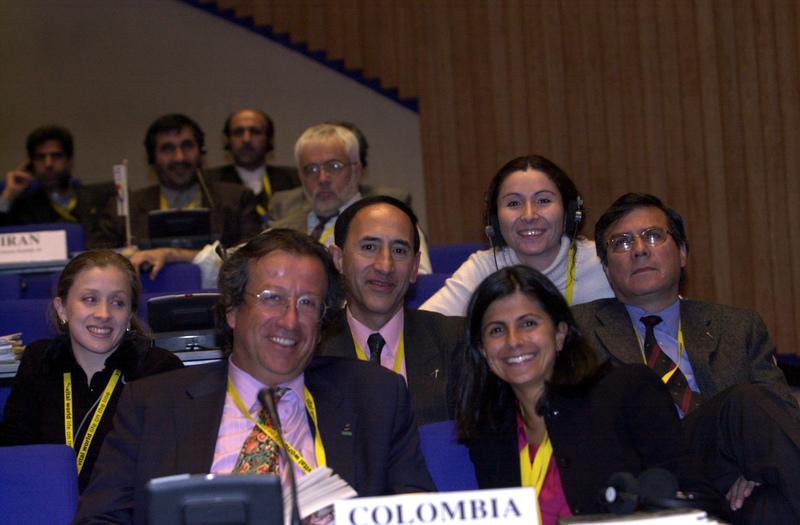 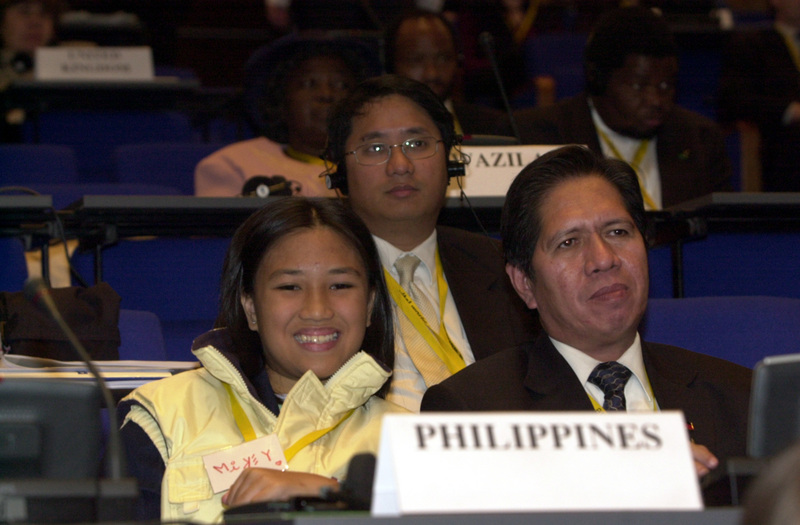 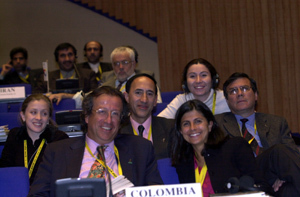 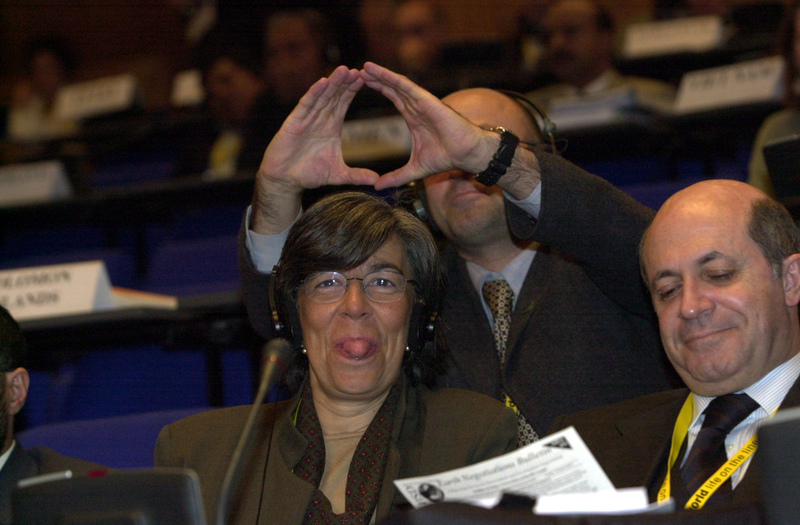 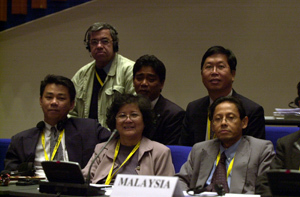 Above photo: The closing dias of COP-6. 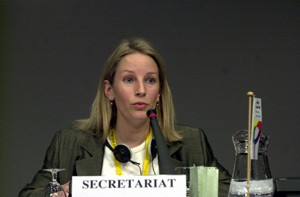 COP-6 President Geke Faber (the Netherlands) attempted a number of means to resolve the issue including recording the reservations of Australia and others in the report as well as prolonged back room discussions. 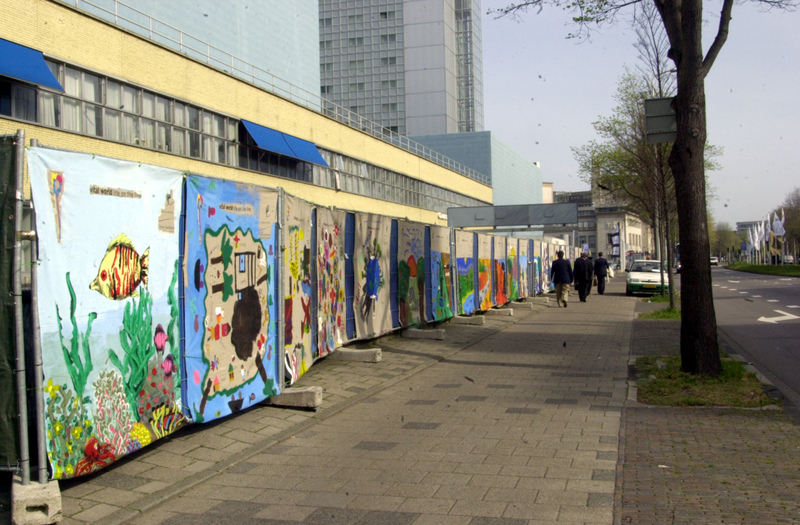 Upon her proposed compromise text, countries, which had expressed reservations on other issues and had their concerns considered in the report, noted their concerns about the procedure for re-opening text for particular countries. 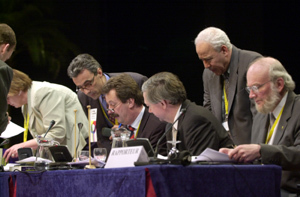 Faber withdrew the paper and requested adoption by consensus. 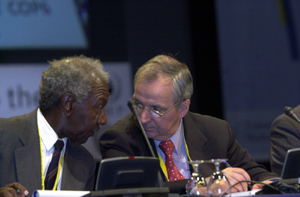 Upon continued objections by Australia, Brazil and others, the Plenary engaged in a discussion about the specifics of decision-making by consensus, particularly in view of the fact that voting procedures within the CBD’s rules of procedure remain outstanding. 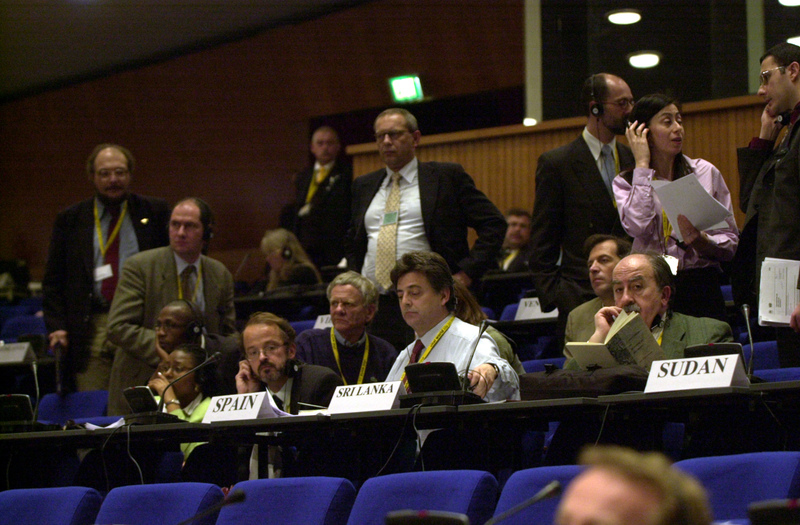 The guiding principles were ultimately adopted on the grounds of consensus, and a number of countries expressed their reservations about the potential implications for CBD decision-making within the report of the meeting. 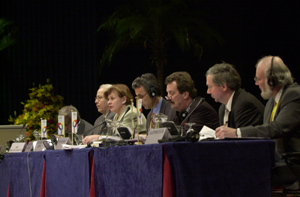 Kenya, on behalf of the African Group, Malaysia, on behalf of the Asian and Pacific Group, Slovenia, on behalf of the Central and Eastern Europe Group, Spain, on behalf of the EU, and Brazil, on behalf of GRULAC, highlighted the meeting’s successes and shortcomings and thanked President Faber, the Secretariat, Chairs, conference staff, interpreters and the host government. 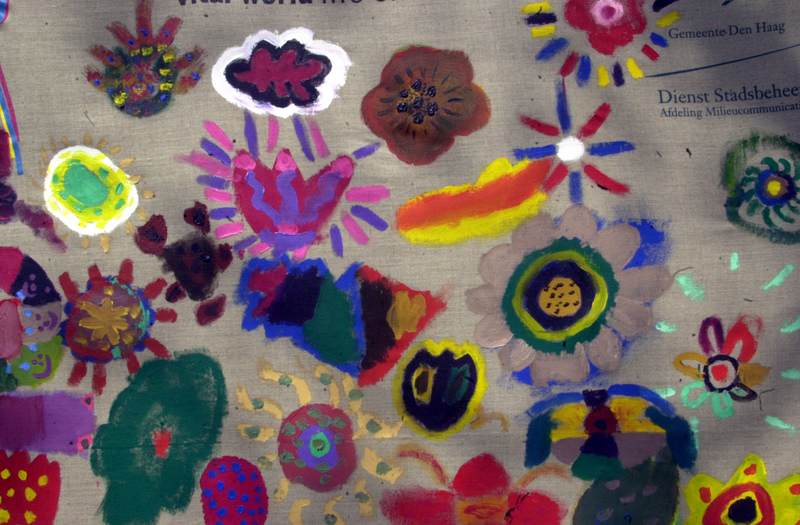 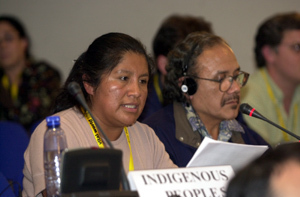 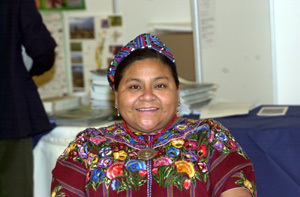 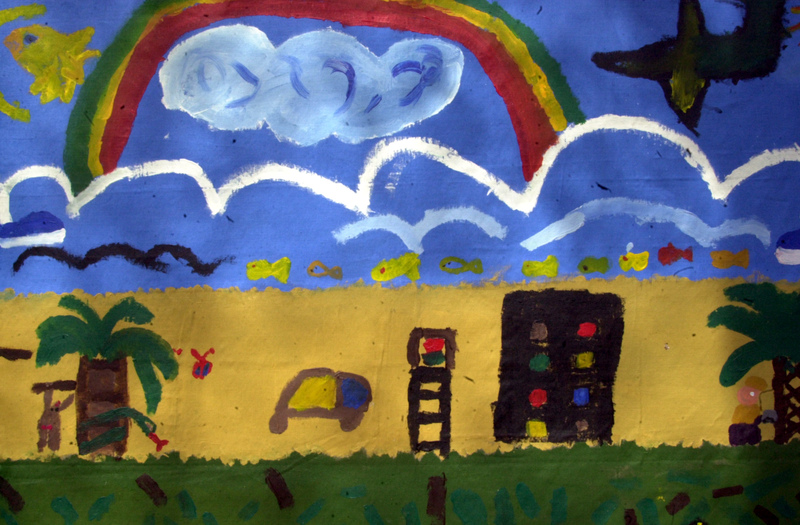 The IIFB reaffirmed the rights of indigenous peoples to self-determination and participation, stressing that adoption of guidelines that subordinate PIC to national legislation is contrary to existing and emerging international law regarding indigenous peoples. 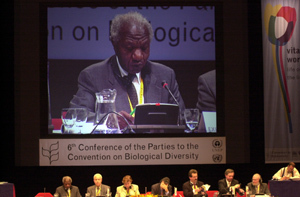 The NGO Caucus stated that COP-6 failed to achieve any substantive agreements to take any action to preserve biodiversity, and stressed the need for binding commitments on ABS and alien invasive species. 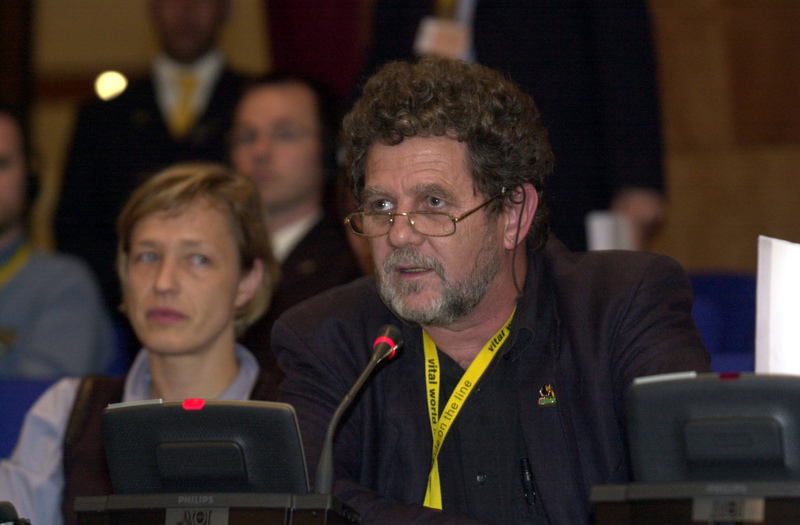 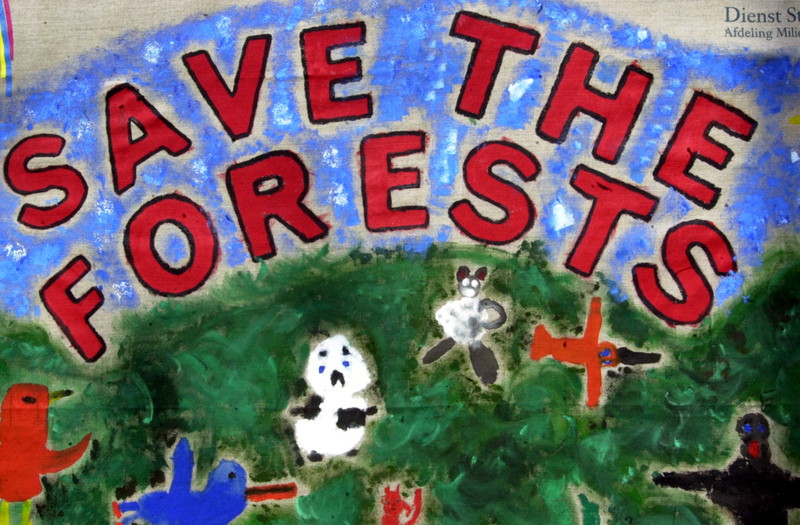 Greenpeace International said the meeting failed to take measures to address destruction of ancient forests and provided Brazil with the Golden Chainsaw Award for being the biggest impediment to the forest work programme. 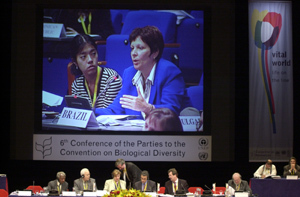 In response, Brazil noted that she would convey such concerns to her capital, while highlighting positive NGO contributions from the Instituto Socio-Ambiental, the IIFB and the Lawyers Environment Action Team. 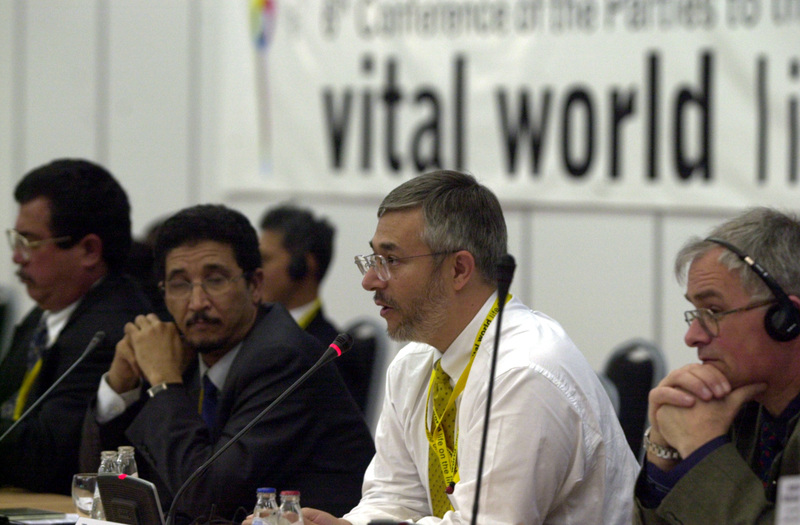 Paul Chabeda, on behalf of UNEP Executive Director Klaus Töpfer, stated that the meeting was a success with its finalization of such a complex agenda, and emphasized decisions reflecting mutually supportive partnerships and cooperation with a number of MEAs. Executive Secretary Hamdallah Zedan stated that the process had taken a hard look at difficult issues, and expressed optimism about future discussions. President Faber noted record-level participation at COP-6 and highlighted the meeting as a shift from dialogue to action. 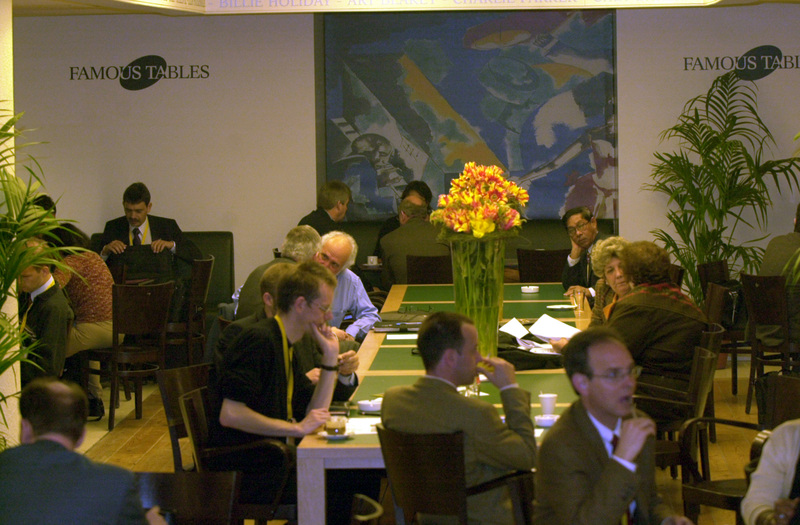 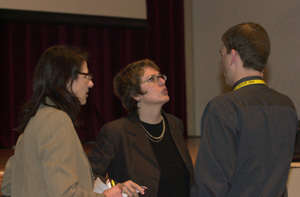 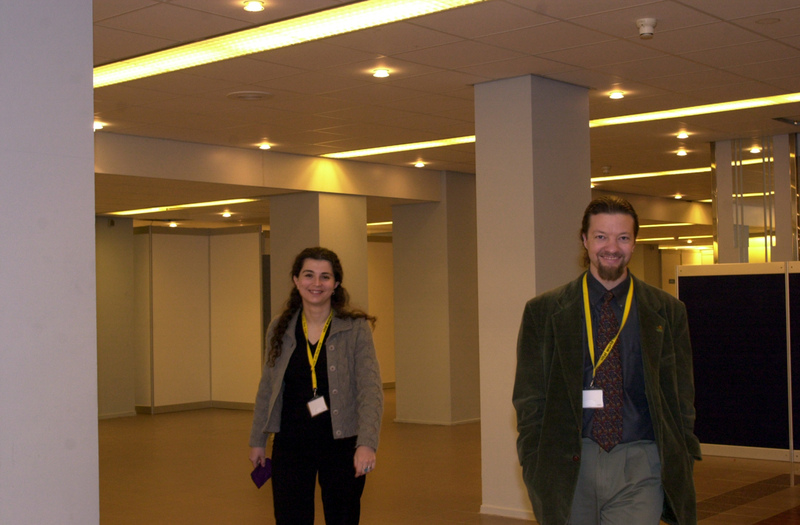 After thanking all participants and staff, Faber gaveled the meeting to a close at 11:50 pm.